How Does the Jones Act Apply to Cruise Ships? Laws passed even a century ago still impact the lives of Americans today. Such is the case with the Jones Act, which affects the cruise industry and was passed nearly 100 years ago in 1920. The Jones Act is actually subsection of the broader Merchant Marine Act. The scope of the act is the ports and water of the United States. The subject matter of the act is commerce that takes place within the scope (ports and water). Although it was originally legislated in an era in which commercial freight heavily dominated commerce related to U.S. ports and waters, today, the Jones Act has also shaped the growth and current state of the pleasure cruise industry. The Jones Act is often known as a law intended to protect U.S. ships from foreign competition. But it also includes important provisions protecting the rights of those injured on ships. The Jones Act provides a remedy for “seaman” who work on ships and are injured during their course of their duty as a result of their employer (or co-worker’s) negligence. In other words, the law does not apply to guests on a cruise ship who are injured (other laws and rules guide those cases). The Jones Act protects employees like the captains, mates, support service personnel, entertainers, engineers, housekeepers, cooks, and similar individuals. 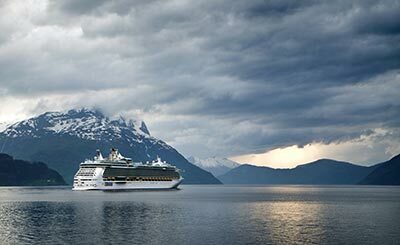 Pleasure cruising has become an extremely popular vacation option in the years since the passage of the Jones Act. Although it may seem that the legislation only pertains to freight, it also covers pleasure ships and their human cargo.The Jones Act treats U.S. cruise ships and passengers differently from foreign cruise ships and passengers. While the act allows U.S. ships to travel directly from U.S. port to port, it prohibits foreign ships from traveling directly from U.S. port to port. For example, a U.S. cruise ship may legally travel from the port of New York to the port of Miami. A foreign ship, on the other hand, may not travel this direct route; it would have to travel from New York to Canada or Mexico (or any foreign country) before traveling to Miami. The Jones Act, in this way, applies board game-like rules to cruise ships in accordance with ownership of the vessel. It’s easy to see how inconvenient the legislation is to foreign-owned ships, especially given the size and shape of the United States. As anyone familiar with a map of North America knows, there are many locations on America’s coasts that are far from Canada, Mexico, or other foreign countries. Alaska and Hawaii poses interesting cases. While it’s little trouble to stop in Vancouver on the trip from Anchorage to Seattle, things get more complicated when traveling from Honolulu to Los Angeles. While it may seem on the surface that the Jones Act provides nothing but benefits for U.S. companies and industries, the situation is actually more complex. For one thing, cruise companies have no reason to register their foreign-owned or built vessels in the U.S., instead choosing to do so at less expense elsewhere. What’s more, foreign cruise companies are not required to adhere to U.S. labor laws, which often results in poorer working conditions for their staff. By making it necessary for so many cruise ship companies to build foreign ports into their trips, it becomes difficult if not impossible to find a cruise that goes, for instance, from Miami to New York. What if the Jones Act was Repealed? In recent legislative sessions, there has been a push to bring the era of the Jones Act to an end. Proponents of repeal point out that the ship-building industry which the law was enacted to protect is not nearly as strong or important to the U.S. economy as it was decades ago. In addition, having more in-country cruises could boost the economies of port cities and encourage more vacationers to take cruises, since they would not need to go through the aggravation and expense of obtaining a passport. For nearly a century, the Jones Act has been a cornerstone of American maritime policy. It has protected domestic ship construction and given preference to American ship owners. At the same time, it has been a mixed blessing for the cruise industry. Only time will tell if its benefits outweigh its disadvantages. If you have questions or concerns about the Jones Act or the rights of those working on cruise ships, contact an experienced maritime law attorney today.